Home / News / Blow to KALONZO and his 2022 bid as KIVUTHA KIBWANA resigns from his Wiper Party as rebellion in Ukambani continues-It is over! Blow to KALONZO and his 2022 bid as KIVUTHA KIBWANA resigns from his Wiper Party as rebellion in Ukambani continues-It is over! Friday February 1, 2019-Former Vice President Kalonzo Musyoka has been dealt a severe blow in his bid to take over the Presidency from Uhuru Kenyatta when his term ends in 2022. This is after Makueni Governor Kivutha Kibwana announced his resignation as the chairman for the Wiper Democratic Party. While announcing the move, Kibwana revoked his ties with Kalonzo Musyoka’s party, citing that he could no longer be in an abusive marriage. He also asked the Wiper chief to revoke his chairmanship and appoint another leader to take up the mantle. 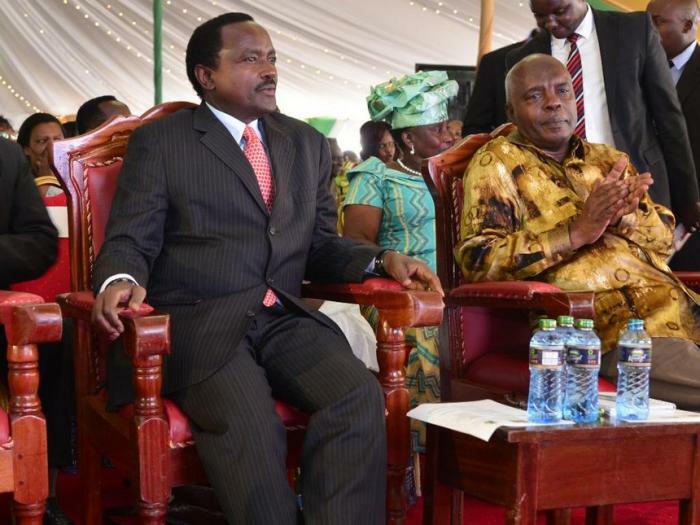 According to Kibwana, Kalonzo Musyoka was using a section of his county legislators to frustrate his development agenda. “We know he has been using some junior Wiper politicians to frustrate me. You remember the other day, he even used former MCAs to insult me at a funeral in my home county,” Kibwana stated. Besides, he accused Kalonzo of failing to practice democracy in his Wiper Party. “You cannot call your party Wiper Democratic then kill the democracy in it. If you don’t let people question, what do you imply?” he added.